The exhibition 'FOCUS' by Joyce Pensato at the Modern Art Museum of Fort Worth, Texas features photocollages and new paintings, including the artist's largest painting on linen shown to date. 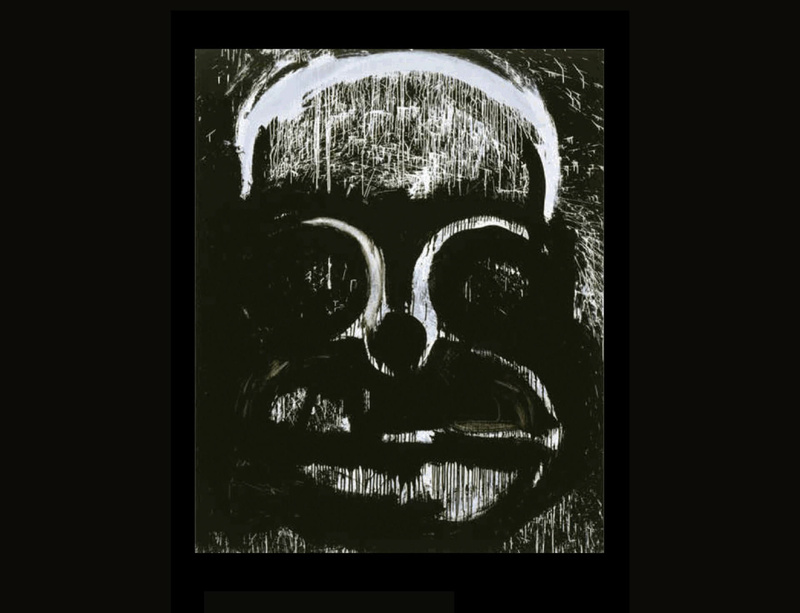 Since the mid-1970s, Joyce Pensato has utilised some of the most iconic American cartoons and comic book characters, such as Mickey Mouse, Felix the Cat, Donald Duck, the Simpsons, and Kyle and Stan from South Park, as starting points for her drawings and paintings. Pensato transforms these characters into portraits that vacillate between menacing and amusing, fretful and enthusiastic. Recognising the emblematic power of cartoons and their ability to critique aspects of contemporary culture, Pensato freezes and modifies these familiar faces, isolating them to further comment on American society and its anxieties. Pensato primarily works in an industrial palette of black, white, and silver enamel, which gives her works a gritty, dynamic street aesthetic. Her paintings are built up with viscous drips of enamel that merge figuration with the painterly cues of Abstract Expressionism. Pensato’s stark colors, economy of form, and distortion still leave her prototypes recognizable, though their features are often hollow and masklike. Her versions of these characters are pushed to the point of being tragicomic clowns, analysing American notions of physical beauty and the dark underbelly of American culture.